There are a few things in life that I am passionate about…easing my daughter’s severe asthma and eczema symptoms is at the top of the list. Two years ago my pediatrician recommended my children take a good source of Omega 3 supplements, Vitamin D and zinc for their condition (all have eczema). Along with her multi-vitamin and probiotics that was over 5 supplement products that she had to take daily. 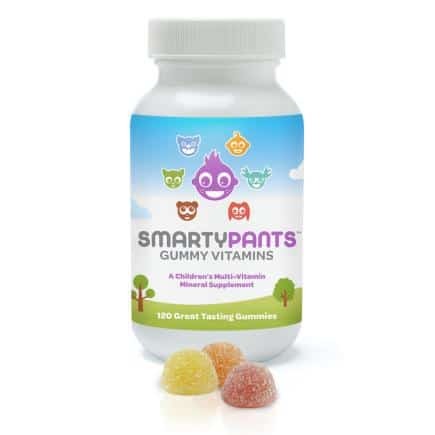 I was thrilled to discover SmartyPants Gummy Vitamins which includes all the multi-vitamins that she needs AND Omega 3’s in one great tasting gummy product. Even better is that SmartyPants contains Omega’s from anchovy and sardine versus tuna, so mercury is not a fear for me. To top of this fantastic product is the all natural flavors and colors used to make SmartyPants Vitamins. So…how does it taste? 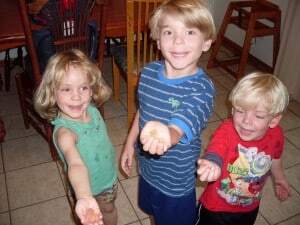 My children line up each morning after breakfast and ask for their “brain food.” I have also tasted it and it is delicious….there is no detectable fishy taste as you may find in other Omega supplements. I am only half way through the bottle but already ordering a second so that I don’t run out and have a mutiny in the family. SmartyPants contains 100% of the U.S. RDI for Vitamin D and 13 other nutrients in each serving.